Plans to cut the cost of mobile phone calls between European Union member states may be about to move a step closer after a key vote in Brussels. A committee at the European Parliament has voted to support European Commission proposals to cut so-called roaming charges by as much as 70%. Now a vote will take place in the full EU parliament in the next few weeks. The commission wants the cuts in place by the summer, but they will still need to be approved by EU nations. Mobile phone companies have always justified the charges because of the costs they face when routing calls on rival networks. But the European Commission calculates their profit from the trade at around 8.5bn euros ($11bn; £5.7bn) a year, and is trying to take on a role as consumer champion to reduce the fees. The Euro MP with the job of steering the bill through the European Parliament, Paul Rubig, believes the roaming charges of some operators are outrageous. "We have one member state where at present you pay five euro cents per minute," he said. "If you go outside this member state and phone home, you pay three euros. Nobody can explain why that is justified." But the phone companies are not convinced that legislation will help matters. Eirini Zafeiratou from GSM Europe, a lobby group which campaigns on their behalf, insists prices are already falling because of competition between the networks. "Over the last couple of years, prices have fallen by around 25%, and customers who travel frequently can select special tariffs which cut the cost even further," she said. "If we face compulsory price caps we could end up running some services at a loss." However, the mobile phone company 3 has backed the suggested changes. 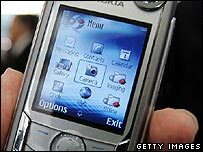 The European Commission first scrutinised roaming charges as far back as 2000.